A new concept in the field of Pediatrics, we continue to offer the ultimate quality in traditional specialty Pediatric Dental care, along with the next generation in preventive techniques and technologies. We employ the latest, state-of-the-art technologies for early cavity prevention. This includes trans-illumination and laser detection technologies, both of which are radiation free. These devices allow us to detect cavities before there is major damage done to tooth structure. If a cavity is detected early enough, treatment is less invasive and therefore more comfortable for the patient. We only use digitally enhanced x-rays when it is absolutely necessary. Should your child experience a dental emergency or any trauma to the mouth, we ask that both pre-existing patients & non-patients alike call our emergency contact phone number immediately! Dr. Heinowitz can be reached 24 hours a day, 7 days a week on his emergency line by dialing 732-972-0919 and hitting the “1” at any time. No matter how small your emergency may appear, PLEASE do not hesitate to call Dr. Heinowitz! Allow him to screen the problem and advise you as to whether or not your child should be seen immediately. *If possible, after contacting our emergency line we encourage you to take photos to text or e-mail to Dr. Heinowitz so he can assess the severity of your emergency. 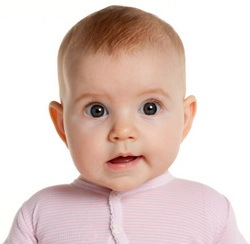 When is it appropriate to bring my child in for his/her 1st dental visit? Why are baby/primary teeth so important? What is Preventive Sealant and why is it so important? We recommend that you make an appointment to see the dentist as soon as your child gets their first tooth. It is recommended that your child be seen by six months after his/her first tooth erupts or by one year old, whichever comes first. The first visit is usually short and simple. 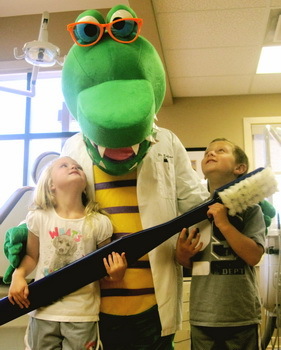 We typically focus on getting to know your child and providing you some basic information about dental care. Dr. Heinowitz will check your child’s teeth for placement and health, and look for any potential problems with the gums and jaw. We may also do a bit of cleaning during this visit. We will take the time to answer any questions you have about how to care for your child’s teeth as they develop and provide some insight on what to expect. We strongly recommend six month visits to the pediatric dentist beginning at your child’s first birthday or after the appearance of your child’s first tooth. Routine appointments will start your child on a lifetime of good dental health and reduce the risk of future cavities and oral health issues. While they don’t last as long as permanent teeth, your child’s first teeth play an important role in his/her development. While they are in place, these primary teeth help your child to speak, smile and chew properly. They also hold space for the permanent teeth, guiding them into the correct position, and permitting normal development of the jaw bones and muscles. If a child loses a tooth too early due to damage or decay, nearby teeth may encroach on that space, resulting in crooked or misplaced permanent teeth. Neglected cavities can and frequently do lead to problems which affect developing permanent teeth. Be sure that your child’s teeth are brushed at least twice a day with fluoride toothpaste. Flossing at the recommended intervals is also important, as flossing can reach spots between the teeth that brushing can’t. Avoid sugary foods and drinks, limit snacking, and maintain a healthy diet. Finally, make regular appointments so that we can check the health of your child’s teeth and provide professional cleanings. A sealant is a tooth-colored protective material that is applied to the chewing surfaces (grooves) of the back teeth (premolars and molars). This is an area incredibly susceptible to cavity development and 4 out of 5 cavities in children are found here. This sealant acts as a barrier to food, plaque and acid, thus protecting the decay-prone areas of the teeth.